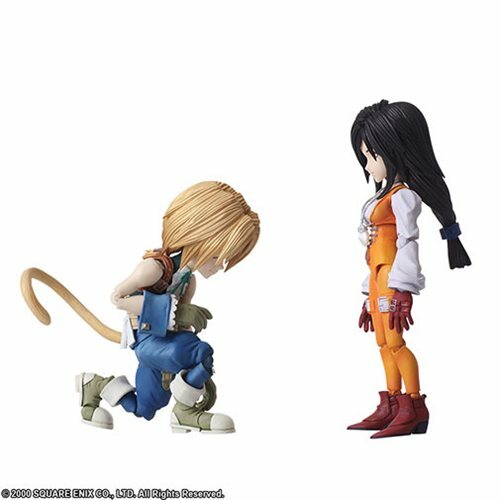 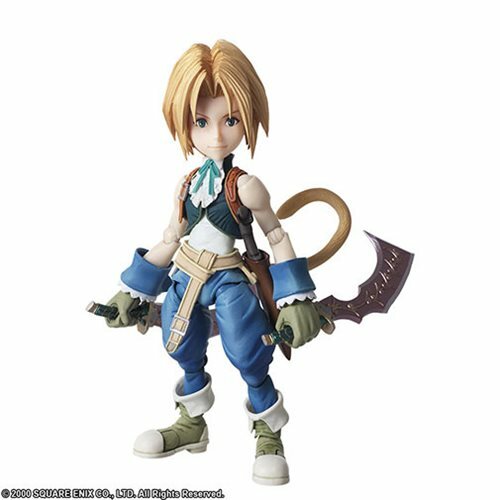 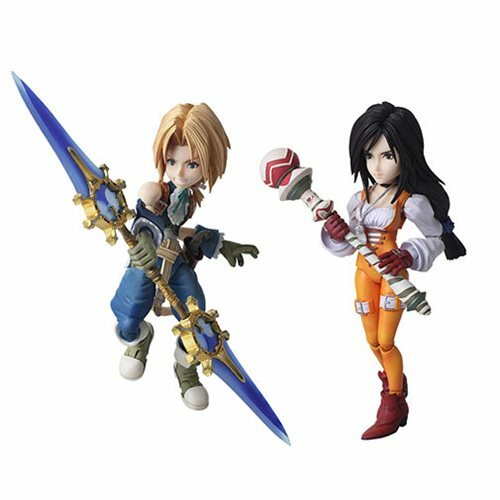 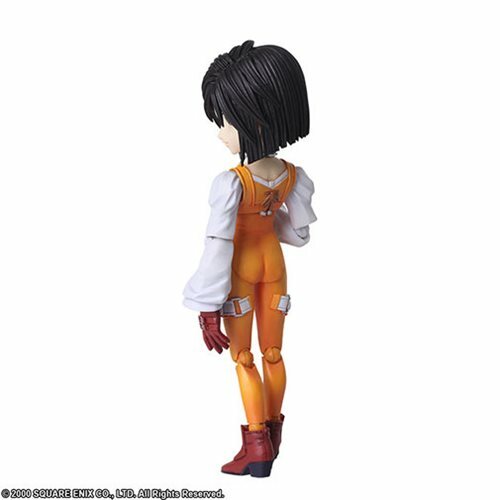 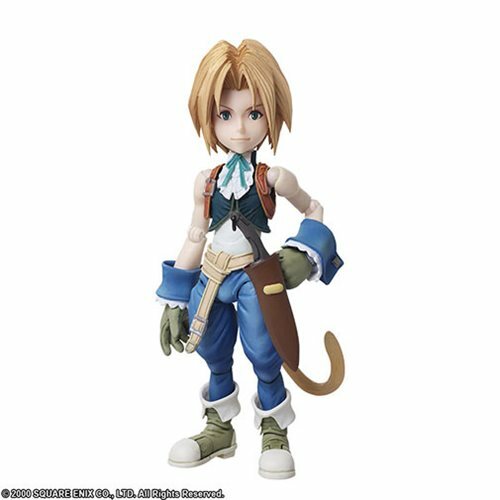 From Square Enix comes the Final Fantasy IX Zidane Tribal and Garnet Til Alexandros XVII Bring Arts 2-Pack Action Figures! 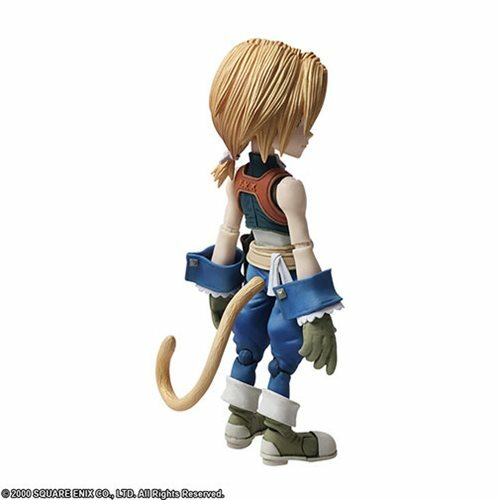 Each character has been recreated from their signature stylized form, to the meticulous paintwork that incorporates subtle shading and polish. 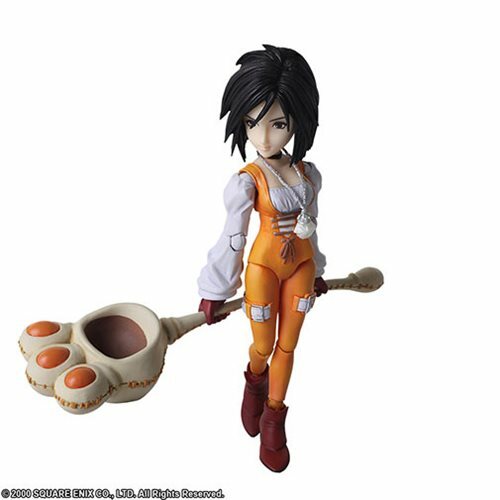 With a presence that feels as if though they jumped right out of the game and a robust set of accessories, this set of action figures brings the world of the game to the collector. 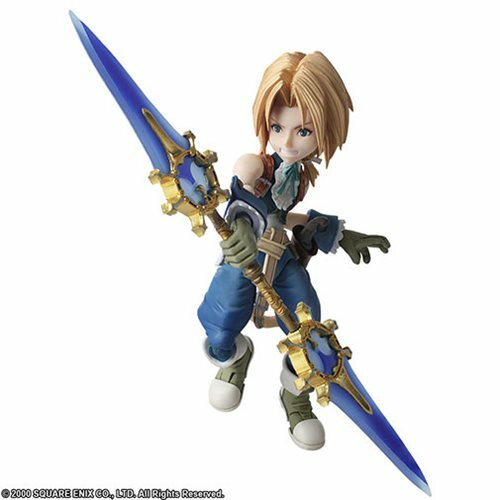 Zidane comes with 3x weapons (Daggers, Mage Mashers, and Ultima Weapon), 2x interchangeable face parts, and 8x hands. 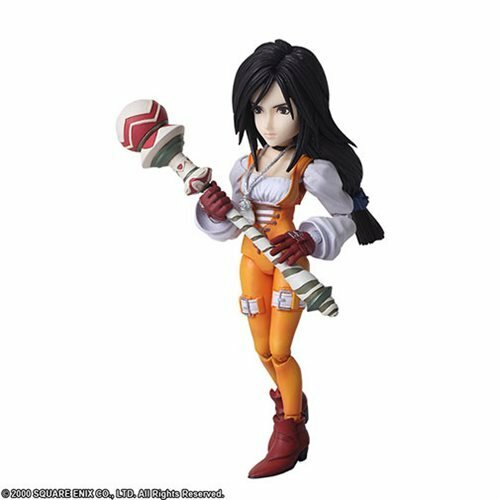 Garnet comes with 2x weapons (Healing Rod and Tiger Racket), 1x interchangeable face part, 2x long-hair pieces, 3x short-hair pieces, and 5x hands. 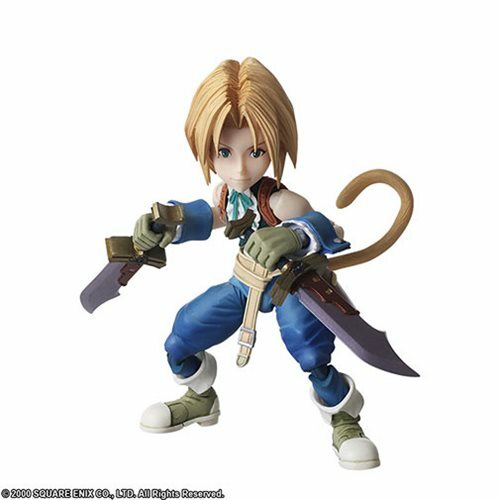 Figures include display stands. 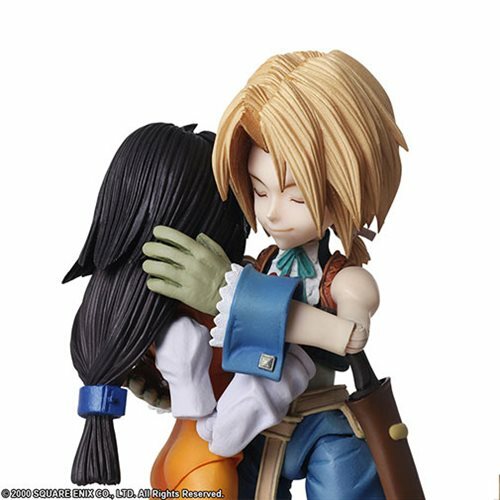 both figures measures roughly 4 1/2-inches tall.